InterGlobe Technologies Walk-in Drive 2019 scheduled for Process Associates (Airlines Travel) for Any degree graduates at Delhi Office. The detailed eligibility and venue details are given below. Education qualification: Graduate in any discipline/Undergraduates/Dropout. Btech- Not more than 65%. Freshers/ Experienced Candidates with Excellent English Communication. It is a complete Sales and Customer care project. This project handles End to end airline operation – Customer Care related issues, Reservations, Web site support, Bulk bookings, Notification, Re-booking, Credit card verification, Queues Management, Email management for all corporate and travel agent queries. 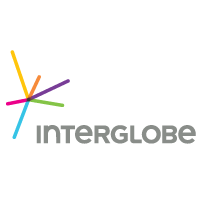 How to apply InterGlobe Technologies Walk-in Drive 2019? Interested and eligible candidates can apply for this position by walk-in to the following venue on 22 April 2019 to 27 April 2019. G-28,29. Janak Puri, Westend Mall. Nearest Metro Station – Janak Puri West.